Google could be opening a music store to compete with Amazon and Apple any day now. "I think we're close," Android head Andy Rubin said at the AsiaD conference in Hong Kong, adding that Google's offering wouldn’t be a carbon copy of Apple's iTunes service or Amazon's store and cloud locker model. Rubin said Google’s approach "will have a little twist… it will have a little Google in it." There’s no definitive word on what that "twist" might be, but the basic idea seems to be that the company is working out deals with music labels to sell songs through an online store that could also be connected to its cloud service, Music Beta, which launched in the spring. Google attempted to work out deals with labels in the advance of the launch of Music Beta, but no agreement was reached and Music Beta debuted as essentially little more than a cloud storage option. The service has since earned a reputation for eating up bandwidth while often taking days or even weeks to upload users' music collections. Google may now be feeling pressure to compete with Apple's iTunes Match -- essentially a pay service that syncs a user's music across all Apple devices, even songs that weren't purchased through iTunes -- that's expected to be up and running in the next few weeks. "Apple kind of caught Google off-guard when it secured the licensing rights for iCloud," said Aapo Markkanen, an analyst at ABI Research. "Google is the challenger in this space, and if it wants to break in to music distribution, it can't really afford having its first shot being that much weaker than iCloud." A handful of analysts contacted by PCWorld all seemed to agree that Google's central advantage in breaking into the music business is its wealth of smart people and piles of cash to throw at the project. In fact, smaller companies have had a very difficult time competing with Amazon and Apple, who come with similar resources at their disposal. "It will be interesting to see if [Google's] familiarity with consumers can translate into music sales," said Simon Dyson, an analyst at Informa Telecoms and Media. "My guess is that it will quickly become second but first place will stay with Apple for a little while longer." Markkanen believes that Google has put some of the pieces in place to act as a foundation for building a successful music store, but it remains to be seen how well the company will execute it. 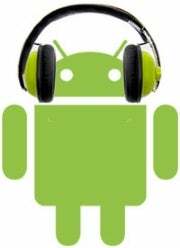 "Android is its greatest asset: that's loads of devices and consumers to whom it could sell music,” he said. “A skillful integration with Google Plus -- along the lines of what Facebook has done lately with Spotify -- would be a bonus as well, but I've my doubts. Given how silent it's lately been on the API front of Plus, it appears that Google doesn't take seriously enough the platform potential of social networking." Analyst Charles King agrees that a music store for Google isn't just about catching up with Apple and Amazon, it's also a way to catch up with Facebook. "The bigger issue is how a service like music sales and storage can help Google build a broader, deeper, long lasting online community… I think this qualifies as an effort to attract a broader audience," King said. Perhaps that's the twist Rubin mentioned -- some sort of deep integration of music with Google+ and Android. Or perhaps, Google will use one of its other simpler advantages in the market. "They operate with heavy advertising subsidies and will support new products with other revenue streams so they could underprice both” Amazon and Apple, says Rob Enderle of the Enderle Group. Whatever the pricing and strategy of Google's music store turns out to be, the reports from the music industry are that deals with the search giant are as close as they've ever been, meaning we could see something as soon as in the next few months. Follow Eric on Twitter, and at ericmack.org. Follow PCWorld on Twitter, too.